Not smoking has a new look. What are vaporizers, e-cigarettes, and e-liquid? E-liquid, e-juice, or vape juice is the flavored liquid put in to the vaporizer's tank that gets heated and inhaled. E-liquid comes in a wide variety of flavors to match every taste, from a traditional tobacco to sweet desserts and custom blended flavors. The e-liquid is also what can contain nicotine, and most vape juice is available with a range of nicotine levels to allow people switching from smoking to maintain, reduce, or eliminate their usual nicotine intake. 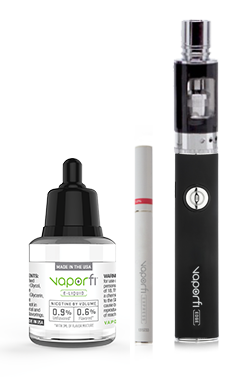 E-liquid is made up of 2 main ingredients aside from any nicotine; Propylene Glycol and Vegetable Glycerin. Propylene Glycol is an organic compound commonly used in such products like ice cream and soda. Vegetable Glycerin is a sugar alcohol compound commonly found as a sweetener in liqueurs and cake frosting. While these chemicals are harmless in and of themselves, it is important that you select your e-liquid from companies that you can trust as there is a wide variety of quality control in the vape juice industry which is currently unregulated. 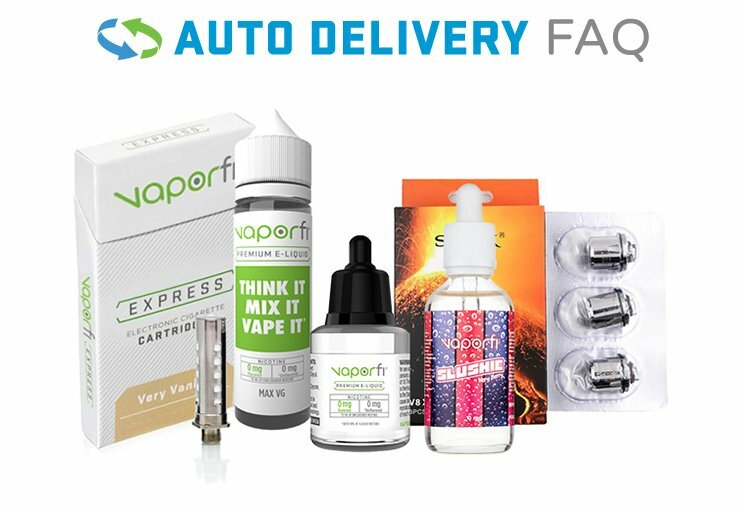 We take quality and safety extremely seriously which is why VaporFi e-liquids are 100% made in the USA in FDA* registered labs using better than food grade ingredients. For more information as to what sets our e-juice apart from the rest of the industry please check out our Why Our E-liquid Rocks page. Vaporizers and e-cigarettes have provided a simple and fun way for millions of people to have a choice as to how they receive their nicotine. Making the switch is easier than you think, and we hope we have answered some of your questions about this amazing new technology. If you still have questions or concerns regarding vaporizers and e-liquids feel free to contact us any time, we're here to help. We're available by phone (1-855-938-2767), email (custsupp), Facebook, and Twitter.